Lower Park School has been ‘buzzing’ over the last few weeks as the pupils waited for their newly laid eggs to hatch. After twenty one days of incubation, the first few chicks emerged from their shells to the amazement of the children (and staff) all of whom immediately were captivated. By the following day, nine tiny chicks had emerged and everyone was keen to pick them up. The chicks have spent time in each class, where they have been handled with great care and interest. The excitement around school will surely become one of those events that the children will remember for a long time to come. Thank you to the PTA for funding this initiative and to Mrs Chadwick for co-ordinating the chick extravaganza this year. 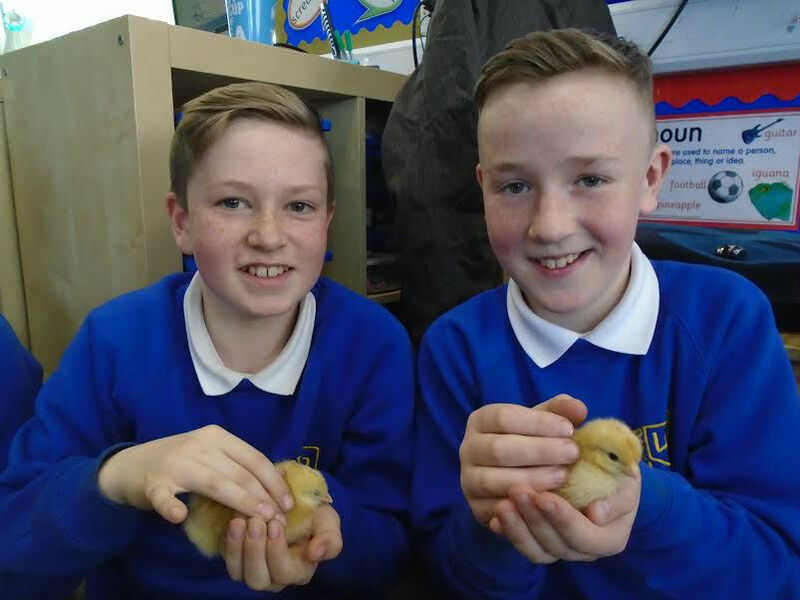 Lower Park School has been ‘buzzing’ over the last few weeks as the pupils waited for their newly laid eggs to hatch. Thank you to the PTA for funding this initiative and to Mrs Chadwick for co-ordinating the chick extravaganza this year.